Auto Raja, originally uploaded by amulya. Autos in Bangalore are famous for those little 'paintings' on the back. 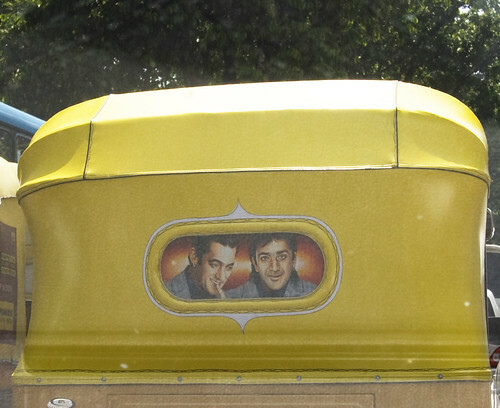 Generally they are painted images of film stars, most popular being this duo - Salman Khan and Sanjay Dutt. ShahRukh Khan features sometimes and Aamir very rarely.